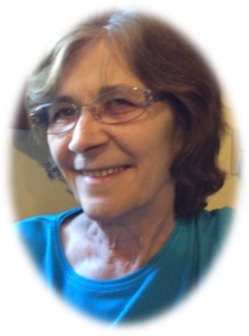 Died peacefully at home surrounded by her family in Kinmount, Ontario on Saturday April 6, 2019, at the age of 70. Beloved wife of John (Charlie) Mertin for 50 years. Dear mother of Teresa (Randy Buchholtz) and Glenda Ibbitson (Tom). Loving grandma to Heather, Alyssa, Derek, Bradley and Nathan; and loving great grandma to Jayla. Dear sister to Sharon Brown (Bill), Dean (Pam), Glenda Swanton (Bobby), Julie Houghton (Bill), Murray (Alice) and predeceased by brothers Dan (Marilyn) and Bob (Georgina). Friends are invited to visit the family at the Royal Canadian Legion Br. 441, Kinmount, Ontario on Saturday, April 27, 2019 from 1:00 P.M. to 3:00 P.M. A Reception will be held at the same time. Cremation has taken place. Memorial Donations to the Humane Society of Kawartha Lakes would be appreciated by the family and can be arranged through the Lakeland Funeral & Cremation Centre, 19 Moose Road, Lindsay ON. There's still time to send flowers to the Celebration of Life at the Royal Canadian Legion Branch 441 Kinmount from 1:00 PM to 3:00 PM on April 27, 2019.